Learn more about the educators and artists behind EPIC, Silk Road Rising's arts-learning residency that gives Chicago middle and high school students a deep understanding of empathy and playwriting. Chicago Public School students with EPIC (Empathic Playwriting Intensive Course). High School just outside of Chicago, and owner of Tracy Strimple Private Coaching, a company dedicated to coaching high school students for admission into performing arts colleges. In addition to teaching, Tracy is an active participant in the Chicago theater scene with choreography credits, including the Jeff award winning musical “Under a Rainbow Flag” (Pride Films and Plays). Tracy is a proud graduate of both Emerson College and Loyola University Chicago, with a BFA in Musical Theater and a Masters in Curriculum and Education respectively. Lindsay has a BA in Theatre from Loyola University and an MA in Interdisciplinary Arts from Columbia College Chicago, as well as fourteen years of experience as a youth worker, teaching artist, and performing artist in Chicago. She has worked with North Park University, Howard Area Community Center, Columbia College (CCAP) Program, and Shanti Foundation for Peace teaching theatrical performance, creative writing, and social justice. Lindsay has a background in arts-integration and is certified in Positive Youth Development and has also trained with the Chicago Freedom School. Levi brings eleven years of experience as a teaching artist to Silk Road Rising's EPIC program. 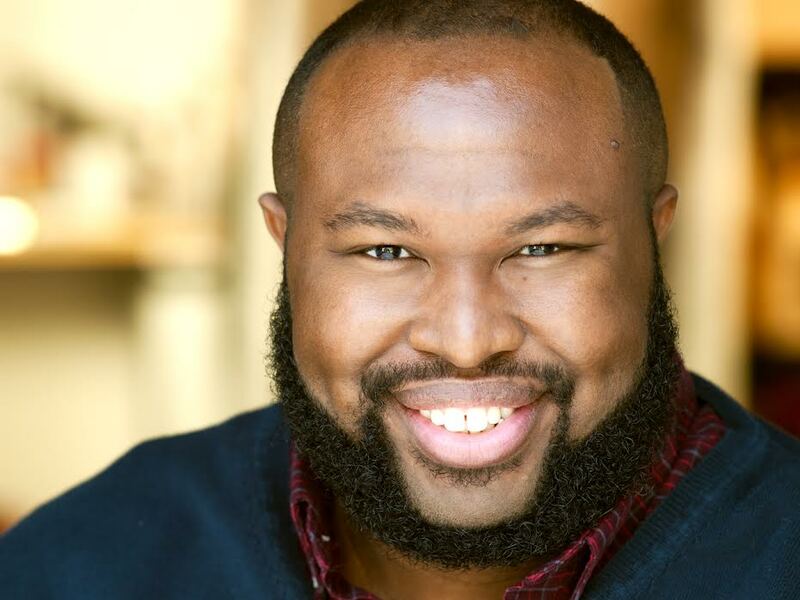 He graduated from De Paul University with a BFA in Acting, and has worked as a teaching artist with Adventure Stage and Lookingglass Theatre Company with K-12 students and students with special needs. He serves as the Sign/Voice Theatre Director for Bell Elementary School, where he has written, designed, and directed plays for and with the Deaf community. Levi is the co-founder and co-artistic director of Neverbird Project, a Deaf and hearing youth theatre company. Alex previously worked as a teaching artist at the Little Black Pearl Art and Design Center in Chicago’s Kenwood neighborhood, a job which has been instrumental in preparing him to take on the rigors of the EPIC curriculum. Alex graduated with a Bachelor of Arts in Theatre and Performance Studies from University of Chicago. He has also completed a two-year training program in physical and devised theatre from The School for Theatre Creators, which challenged him to collaborate with people of varied artistic backgrounds to best tell their stories—a skill which exists at the very heart of EPIC. Lexi is a teaching artist, director, performer, and writer from Los Angeles with her B.A. in Theatre and B.S. in Behavioral Psychology from UC San Diego. Recent playwriting credits include SUPER (Mudlark Theater), the collaboratively devised show It’s For Real (About Face Theatre), and Butterfly in China (Underground New Play Festival and Paloma Valley High School). Lexi worked as a Youth Theatre Director at Mudlark Theater, a Teaching Artist Apprentice for the Mosaic Program at American Theater Company, a Co-Teacher and Assistant Director for EDGE Theatre’s Constellation Project at Molloy Special Education Center, and as a member of About Face Theatre’s Youth Outreach Touring Ensemble. Lexi is thrilled to be a part of this EPIC team of teaching artists! Steph has a BFA in Theatre from University of Illinois at Chicago. She is originally from Mexico City, Mexico. Steph began her teaching experience as a summer camp counselor in Mexico City at the American school foundation were she taught English and theatre to children from 6 to 13 years old. Additionally, she lived in Barcelona, were she studied Daulte, a Spanish improv technique, at Eolia School for the Arts. Steph moved to Chicago in 2013 for school and now calls Chicago home. She is a working actress and is represented by Grossman and Jack Talent and is an artistic associate with Pop Magic. Steph has also acted for Pride Films and Plays, Walkabout theatre, Three Cats Productions, and the Runaways. Steph started with EPIC as an actor and quickly fell in love with the program. She is so fortunate to be a teaching artist assistant for EPIC. One of her favorite parts of EPIC is the talk back with the actors at the end of the program. The conversations that happen between the professional actors and students are so honest and engaging; what comes out of this program is truly magical! Tali Ariav is a Playwright, Translator, Teacher and a Performance Artist. She recently moved to Chicago after living for eight years on the Pacific islands of Guam and Hawai’i. She earned two Master of Fine Arts degrees in Literary Translation and in Playwriting from the Playwriting Workshop at the University of Iowa. Born and raised in Israel, Tali speaks, writes and reads English, Hebrew, Arabic and Portuguese. Tali was one of the founding members of Orto-Da, an award-winning Israeli street theatre group. Their 1999 performance of “Meta-Rabin,” an original, collaboratively written and performed street theatre work, won First Prize at the Akko Theatre Festival in Israel, followe by earning First Prize for Street Theatre at the Chalôn dans la Rue Festival in Chalôn, France. In early 2016, Tali spent four months in NYC teaching and collaboratively working on her playwriting at Fordham University and ESPA. Later in the year she co-chaired the Guam theatre delegation for the 2016 Festival of the Pacific Arts, which was hosted in Guam and featured 3,500 artists from 24 different countries. Her recent experience has focused on building playwriting and writing programs, as well as teaching theatre, at high schools and universities in Guam and Hawai’i. Tali’s specific interests include the advancement of political theatre and development of the voices of new and maturing writers and playwrights—including students who have never had the opportunity to present their voices and ideas on the stage. Jarrett King is an actor, writer, and educator based in Chicago, Illinois. He has held a variety of administrative and educational positions with several Chicago organizations, including Auditorium Theater, Hearts to Art, Silk Road Rising, Unsilence, Bravo Performing Arts Academy and American Theater Company, where he oversaw the school residency program American Mosaic. Prior to moving to Chicago, Jarrett was based in Austin, Texas, where he was the Administrative Coordinator for the St. Edward’s University Department of Performing Arts, a Board Member at Salvage Vanguard Theatre, and a founding Artistic Director of the arts collective Viceroys. As a performer, he most recently appeared in Chicago Shakespeare’s winter and summer productions of A Midsummer Night’s Dream, and he has over a decade’s worth of credits performing in professional theaters. He has also appeared in film, television, including roles in Homestate, Lumberjack Man, American Crime, and The Lying Game. Janyce Caraballo is very excited to join the EPIC teaching artist team! She is a Chicago native (Humboldt Park) who received her BA in Theatre and Music Performance from Denison University. She is also a graduate from the National Music Theatre Institute at the Eugene O'Neill Theatre Institute. You can now find her as a teaching artist at her alma mater Chicago High School for the Arts during the school year and summer, with experience teaching K-12th grade. She is an actress around the city, last seen working with Raven Theatre, ETA Creative Arts Foundation, New American Folk Theatre, and Teatro Vista. Catch her in an upcoming productions with Emerald City Theatre, Theo Ubique, and Lifeline Theatre. TJ Simba-Medel is from Jersey City, New Jersey and holds a BA in Theater Arts from the University of Arkansas in Little Rock. As a 2015 Second City Bob Curry fellow, he has understudied Second City main stages (A Red Line Runs Through It), works as a Diversity and Inclusion Facilitator for Second City Works, and is the first Filipino Faculty Member for The Second City Training Center. Outside of Second City, Simba-Medel has created works with The Neo-Futurists (A Story Told in 7 Fights), Theater Unspeakable (Superman 2050, The American Revolution, Moonshot, The Sacajewea Project), Chicago Slam Works House Ensemble (One Day When We’re All Robots, Have a Great Summer) and holds credits in the NBC Breakout Comedy Festival, CBS’s Comedy Showcase, and Fifth Star Honors: A Night Dedicated to the Artists of Chicago at Pritzker Pavilion. TJ is also a collaborative teaching artist with Silk Road Rising, Chicago Improv Productions, and the Chicago Poetry Center in collaboration with Urban Gateways. For more information, follow him on @tjspokenword on all social media platforms or contact his representatives at Stewart Talent Agency. All photography provided by Airan Wright.